‘Percussionism: Future House’ from Vandalism is an up-to-date sample pack containing energetic and perfectly designed Future House percussive sounds. Inside this amazing collection you will find 165 dynamic samples such as percussion, kicks, claps, snares, hi-hats, rides, shakers, loops and effected crashes. This unbelievable palette of percussive hits includes everything you need to make highly professional House productions! 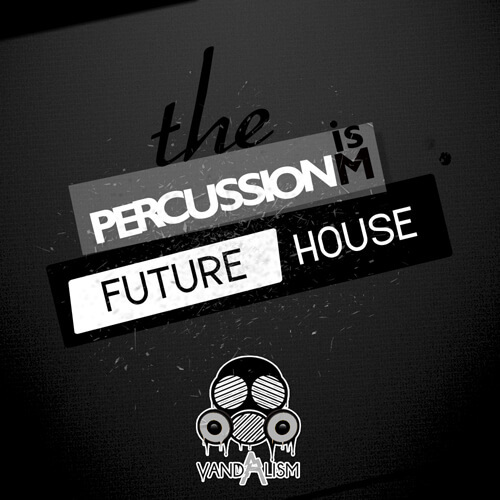 ‘Percussionism: Future House’ brings you the sounds of the most popular producers from this genre. Inside you can find drum shots inspired by Oliver Heldens, Tchami or Plastik Funk. This product was made for the most demanding House, Future House and Deep House producers looking for top-notch percussive sounds.